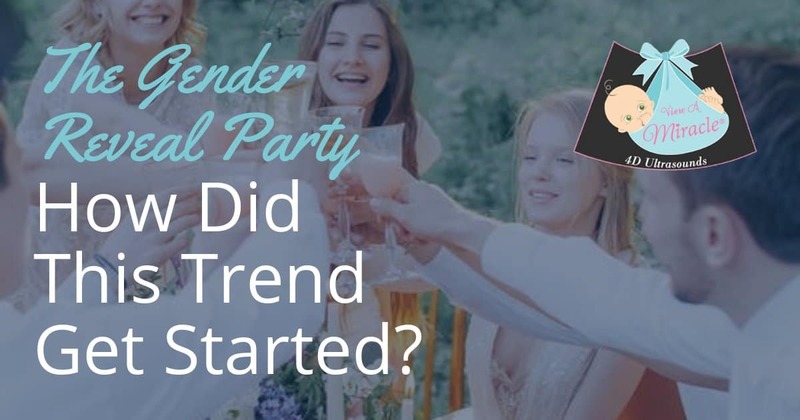 The Gender Reveal Party – How Did This Trend Get Started? Back in the good ‘ole days, gender determination meant having a registered sonographer conduct a 2D Ultrasound in hopes of being able to reveal whether the baby was a boy or girl. If gender determination was made, it was often discussed on site. Today, registered sonographers still play a big part in gender determination. However, in many cases, instead of telling the parents right away, they keep the “secret” so mom and dad to be can share the surprise with their family and friends at a gender reveal party. You’ve seen the videos all over the news and Internet. Balloons and baseballs burst with blue or pink powder, cannons shoot blue or pink confetti, smoke bombs erupt in pink or blue smoke, etc. Although the gender reveal party concept seems fairly new, it actually started almost a decade ago. According to an article in the Washington Post, gender reveal videos began hitting YouTube back in 2009. The trend then really took off in 2011 and continues to thrive. Last year, there was a 6o% increase in gender reveal video views compared to 2016.
https://viewamiracle.com/wp-content/uploads/2018/07/gender-reveal-party.jpg 630 1200 View A Miracle /wp-content/uploads/2019/01/VAM-header_compressed.jpg View A Miracle2018-07-23 19:49:462018-07-25 18:42:22The Gender Reveal Party – How Did This Trend Get Started?